Jeonju is the most Korean city! Welcome to Jeonju-City Blog. 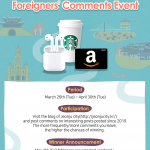 This blog is trying to convey various information about Jeonju in English to foreigners. Which posts on this blog are you interested in? Please leave your comments in English on the blog posts published in 2019. Various gifts are prepared for the foreigners who participated in the event. Go for it now! TIP: The more frequently/more comments you leave, the higher the chances of winning. May 3th (Fri) *Winners are selected randomly. I love the variety of cultural influences and traditional dishes unique to Jeonju. I Love Korea specially Jeonju province. A lot of beutiful places which is really amazing ang funtastic. A real korean traditional places. I hope to visit soon so thank you for all the useful information! Thank you guys for this blog!! 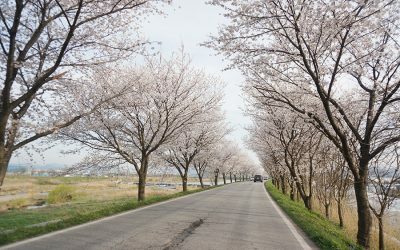 I’m currently planning to trip to Jeonju when I go to Korea, and your blog has provided a plethora of information for me to work with! Wew! 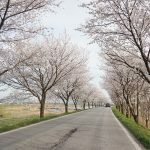 Could I join blog and write post related to Jeonju tourism information? I have lived in Jeonju for almost 7 years. My friends and I are going to Jeonju in April for a birthday stay in a Hanok Village. This blog makes me even more excited to visit the beautiful city! I’ve visited Jeonju 4 times, great place to see within a day. Have been travelled last month to jeonju city where the sceneries are good, the culture is great and the people was awesome! I would love to go back there with my friends soon! I’ll be visiting Jeonju in a few weeks with my 남자 친구 for our one year anniversary!!!! This is great^^ I visited Jeonju with my husband last year~ really gorgeous place! As a foreigner living in korea, adapting to the culture is one of the most difficult challenges. I have been to jeonju in various times. First, as a Korean language student on a cultural trip, we made bibimbap, tried tratitional outfits and had a walk around the different places the city has to offer. The second time I has the opportunity to see how beautiful Jeonju looks at night: couples and families dressing in precious outfits, delicious food and people having a good time. Need to go back at least once more before I leave the country. Hey, thanks for the correction! 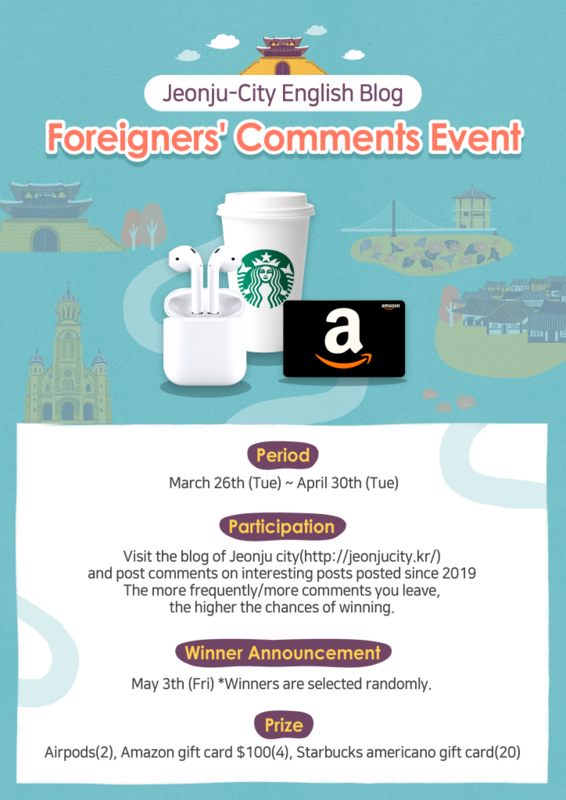 I found out about a lot of amazing places and experiences in Jeonju through this event! I’ve been wanting to go to Jeonju ever since I first came to Korea but I haven’t had the chance to do so yet. I will definitely visit this year and finally try the world-famous Jeonju bibimbap and visit all the places recommend on this website. I’m more than happy to see that you are valuing foreigners in Korea and providing them with an opportunity to learn more about Jeonju. Never been in Jeonju, but I hope someday I will go there. Im visiting Jeonju in a short time! Seems amazing! I have been to JeonJu in 2015 when I was travelling alone in Korea. I still remember I was helped by a korean friend in order to get my way the Traditional Hanok Village. Even though it was hard for communication in Jeonju, but I do really love the place and still wish that I could make a visit to the city again very soon! The beautiful historical places and the delicious beef bibimbap that I will never forget is a must-try-thing! I have been to vist JeonJu in 2018. I get helped by a korean friend in order to get my way the Traditional Hanok Village. Even though it was hard for communication in Jeonju, but I do really love the place and still wish that I could make a visit to the city again very soon! The beautiful historical places and the delicious beef bibimbap that I will never forget is a must-try-thing. Jeonju is one of my favorite cities in Korea. I have been there during the autumn and it’s so beautiful. I hope to visit Jeonju again in other season. I have been to Jeonju for 1 time. First, I like Bibimpab(비빔밥) in Jeonju It’s very tasty than another place that I use to eat before. Second, Culture Village (한옥마을). Third, Environment and atmosphere in there is very good. I want to recommend that’s the best place for travelers. I Love Korea specially Jeonju province. A lot of beautiful places which is really amazing and funtastic. A real korean traditional places. My Girlfriend and I are going to Jeonju in April for a birthday stay in a Hanok Village. This blog makes me even more excited to visit the beautiful city. It was a nice moments when visited Jeonju Hanok Village when wearing hanbok and walking around the old bulding with my girlfriend. I really like old historical buildings. I want Go again with my wife. I have been travelled Jeonju 2018. Jeonju city where the sceneries are good, the culture is great and the people was awesome. I hope i again visit in June. Jeonju is the most beautiful and traditional Korean city with beautiful land marks, Korean Food, festivals and Jeonju International film festival. I am very Thankful to you for making this event. Great to see that there’s more effort being put to promote Jeonju. Jeonju is a great place. I’ve been there a few times with family, friends, and even by myself. Posting a lot these days! Im really glad that there are efforts to promote other beautiful cities of Korea! I hope people will focus not only to seoul, jeju, busan, and nami, but also jeonju as a new destination for trips! I’ve been to Jeonju once with a friend and really enjoyed it. There’s a restaurant that I really liked there, but I forgot the name of it. I would like to go to Jeonju again as I didn’t get to do everything here yet! I’ve been to Jeonju once with a friend and really enjoyed it. There’s a restaurant that I really liked there, but I forgot the name of it. I would like to go to Jeonju again as I didn’t get to do everything there yet! I really want to travel in Jeonju city which amazing nature and love traditional things. This is a nice effort to keep promoting the city. I love Jeonju when i visited. I plan to visit again soon! I will be very happy if someone shares any group tourist service from Seoul to Jeonju. Thank you. Ready to post in the blog, sir. good event to promote the city and good for foreigner who wants to discover the korean culture. I am a Canadian visiting from Vancouver for months, I miss staying in Jeonju for four days last week. It’s a tourist trap. Romantic atmosphere everywhere. Artistic in all the architecture expression. Easily accessible from Seoul in a few hours. Fun and great way to experience old and modern Korea! jeonju is a beautiful city. mostly I love their food!!! every time I experience amazing taste.. spicy, tasty, chewy.. every dishes so awesome and they are more than 10-20 side dishes for every meal!!! that’s awesome. I love Korea, especially Jeonju-city, it’s really amazing and beautiful place. Thank you for the event. Jeonju is a beautiful city and I’m glad I could find out more of it through this blog. I was just still new to know things about korea then my senior brought me there to have sightseeing traditional korean house called “HANOK.” “why must go to Jeonju?” I asked. “JEONJU is the center of international festival, center of food, center of culture and sport event.” My senior replied. No wonder Jeonju reached beautiful achievement as creative city. All matches with its name that literally means A PERFECT REGION.” 전주 만세! Jeonju is the most unique place. The city is in the fashion but still keeping the transitional feeling in the same time. we made bibimbap, tried tratitional outfits and had a walk around the different places the city has to offer. I wish i am one of the winner!! Please introduce us more about the tourist spots and local activities that we can do in Jeonju! will always post in this blog till the day I die, forever! 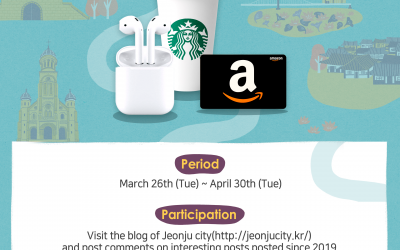 This event really is helpful promoting Jeonju city. I made plans with my friend to visit Jeonju but wasn’t able to do it. After looking at all the posts and information (and THE FOOOOOD), I’m really tempted to visit even if I’m alone. thanks for this event! for this event! I really like the idea of this site, I wish my own city of Daejeon had something similar, helping to promote it to foreign tourists. Jeonju offers its beauty in any season and in any different look. 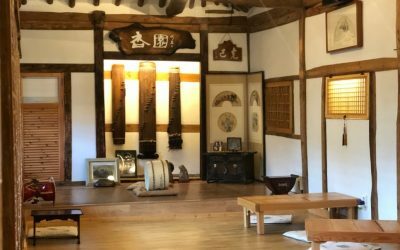 Traditional Korean House called HANOK, that has been existing from the past until now, still withstands in the midst of exposure to modern life. It sturdily contrasts to the modern life surrounding it. So that it can bring us into the atmosphere of peaceful simple life in the past but still maintain its beauty. Last winter, I visited HANOK. I like most when ice covered the roof of HANOK and made it look so pure. It is beautiful if it is seen at height from the distance. I still have long stay of sojourn. Next summer, I am going to visit Jeonju again especially DEOKJIN PARK that offers green lotus blooming. It must be fabulous. When fall comes, I wish I can dissolve in the nuance of autumn foliage. how amazing it is when green leaves turning to red, orange, black, yellow, purple, pink, brown, blue, and magenta! Jeonju is the 16th largest city in South Korea. I have been travelling there several times when I was living in Daejeon. In May 2012, Jeonju was chosen as a Creative Cities for Gastronomy as part of UNESCO’s Creative Cities Network. Jeonju ranks among South Korea’s most popular destinations for Korean travellers. Jeonju is the birthplace of bibimbap so it is the best place to try bibimbap. like most when ice covered the roof of HANOK and made it look so pure. great place to see within a day. like posting here because i love this city.. I been living in Korea for 11 months, and altough is very difficult for me living in this totally different culture, with a language that is very difficult to lear, traveling trough this wonderful country has been one of the most wonderful and happiest experiences. On my honeymoon we took a trip around different cities of Korea and of course Jeonju was on the lis….the beautiful Jeonju Hanok Village was wonderful, so full of beautiful hanok houses and amazing shops, I loved it. We also visiti Gyeonggijeon, a famous sanctuary and museum, and the Jeondong Cathedral. We had an amazing time and of course I recommend everyone to visit this city, I defently want to go again! Jeonju Hanok Village is a must visit for all visitors. Many couples dress up with matching hanbok colors and styles and take couples photos throughout the village. 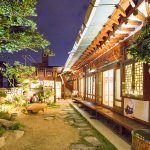 If you’re staying overnight, consider a hanok guesthouse in the village. It was one of the best experiences that we had! If you want a panoramic view of the Hanok Village, visit the Omokdae pavilion. It’s a short walk up the hill. Jeonju Hyanggyo Confucian School – The school grounds are serene with the huge gingko trees. You can’t miss this iconic Catholic Church on the edge of the village.